Qosina offers an extensive line of luer-activated valves in a variety of configurations that are in stock and ready for immediate delivery. 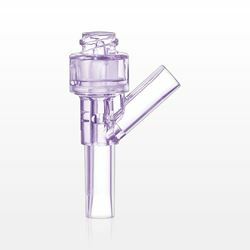 Ideal for use in flushing, sampling and IV applications, Qosina part #80212 is a swabbable, needleless injection site that supports neutral pressure displacement, which helps reduce reflux-related obstructions. 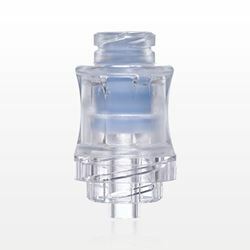 Made of tinted polycarbonate and silicone, this luer-activated valve is opened by the stem of a male luer and features a male luer lock connector. Once connected to the female luer lock, the valve is open, allowing for flow of fluids. Our sales team can assist you in building a custom configuration to meet your project requirements.